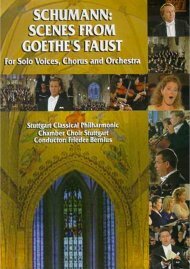 Goethe's Faust is one of the highest peaks of German Romantic poetry, and fascinated composers across Europe: Berlioz, Liszt and Gounod were just some of the many entranced by its visionary power. 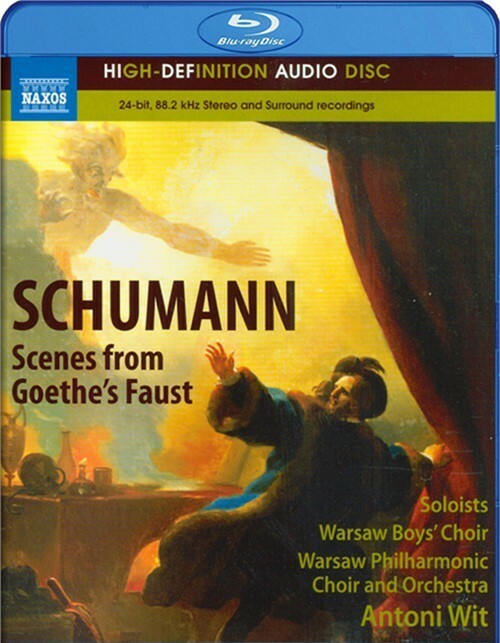 Schumann too set what he called "Scenes from Goethe's Faust", but he made a point of selecting excerpts rather than using a libretto, focusing more on Part 2 of the play. The result is a work of astonishing passion, which includes some of the most dramatic music Schumann ever wrote, and some of the most beautiful as well, embracing elements of oratorio, opera, song and orchestral poem. Antoni Wit's recording has been acclaimed for "tempos which flow with un naturalness and real excitement." 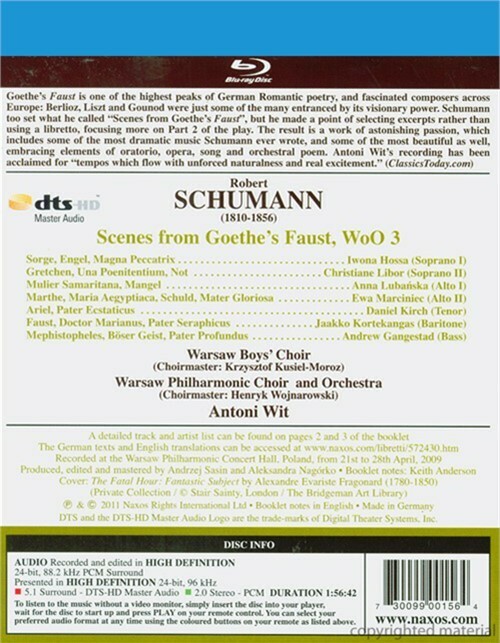 Review "Schumann: Scenes From Goethe's"
Reviews for "Schumann: Scenes From Goethe's"